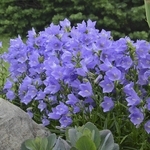 Campanula persicifolia 'Takion Blue'. 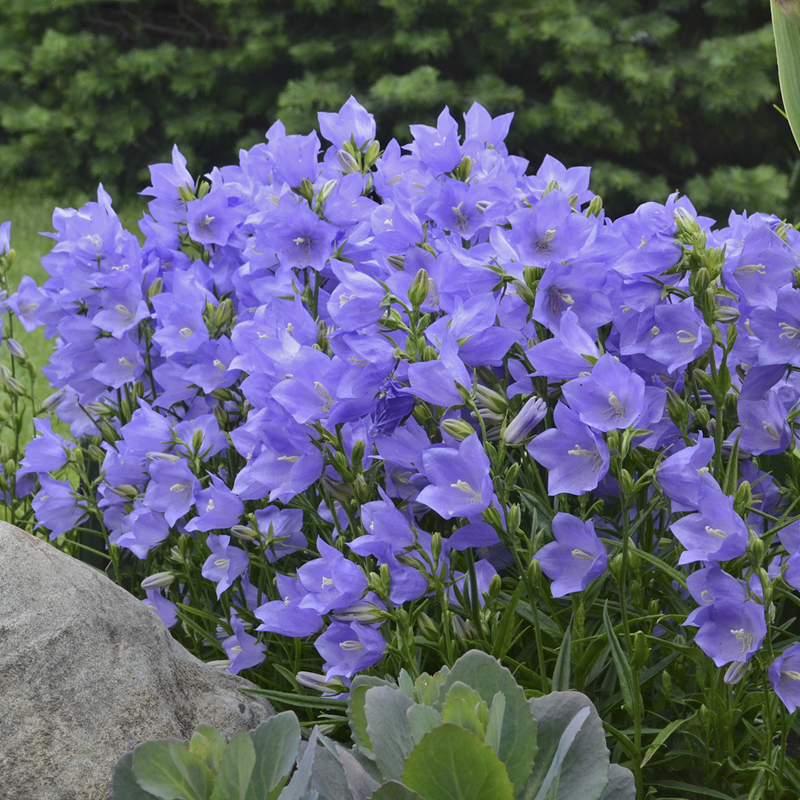 Outward facing bell-shaped, 2-2.5”, lavender blue flowers are produced on strong stems from early summer into late summer if spent flowers are removed. 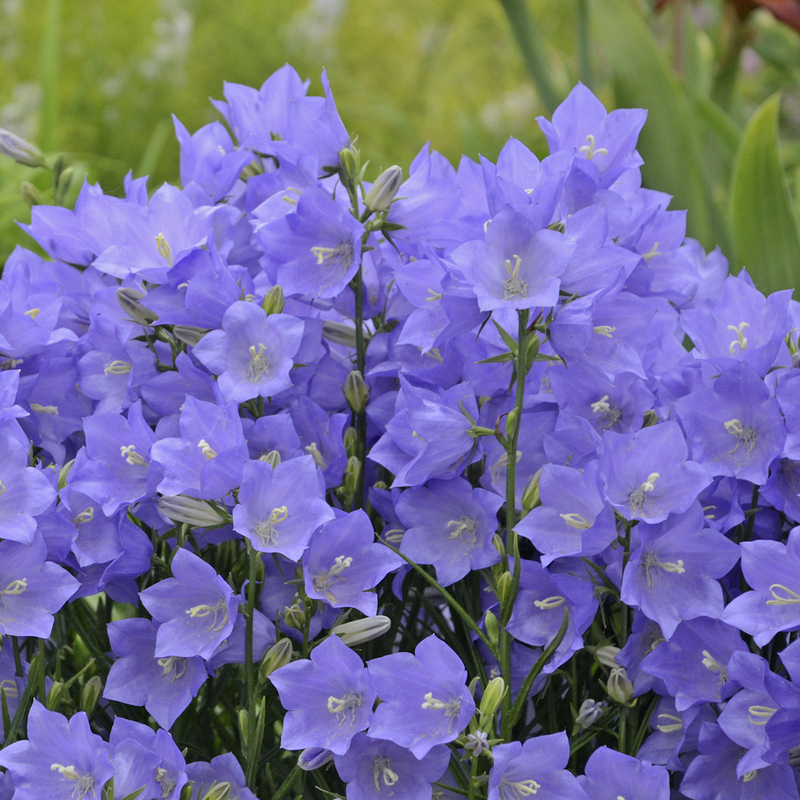 Forms a basal mound of long, leathery, evergreen, dark green leaves. 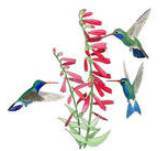 Invite some hummers to your garden with this beauty.